According to the Myers-Briggs Personality Indicator, an ISFJ (Introversion, Sensing, Feeling, Judgment) type describes individuals with exceptional qualities. People with an ISFJ personality have strong social and analytical skills, which allow them to be adaptive, helpful, and insightful. These individuals have many friends, who admire them for their caring qualities. Not only are ISFJs sociable with their friends and family, but they extend their charm and interpersonal skills to helping others. They are “do-gooders”, who perform acts of kindness through charity work and volunteer activities. Their consideration for others makes them natural protectors—the ever-vigilant humanitarian. 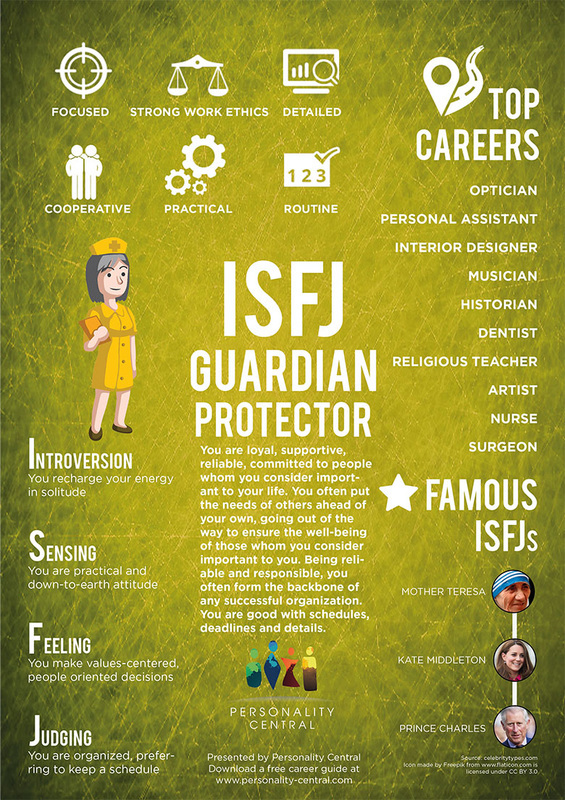 Making up about 13 percent of the general population, people with ISFJ personalities are accomplished in their work. Employers and co-workers both like to work with these individuals, as they are always willing to help others—to finish a task, fill in a vacancy at the last minute, or generally help someone who is struggling with a task. They are reliable and kind, which also makes them approachable. Co-workers feel comfortable talking to ISFJs and sharing their feelings and concerns with them. They are especially good at working with clients or customers, and listening to them in an effort to help resolve their issues. In other words, they are excellent problem-solvers. They are also dedicated and respectful. They take their jobs seriously and always try to do their best. They are extremely loyal. In fact, they often try to follow their favorite managers and co-workers to other positions when they change departments. 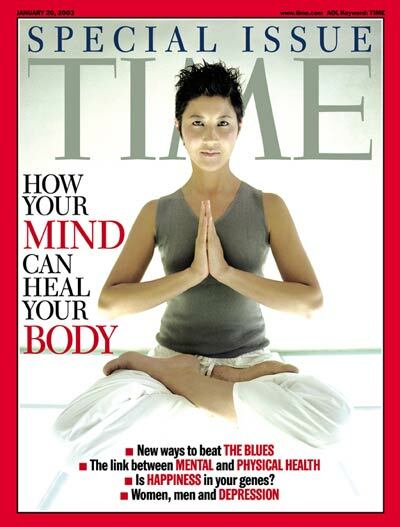 They take immense pleasure in being able to brighten someone’s day by offering realistic resolutions to one’s problems. These workers are both productive and organized, which is a winning combination in the workplace. Although adept at analytics, one may struggle with perfectionist tendencies, albeit self-described. These tendencies can be used to the ISFJ individual’s benefit, however, as hard work and concern for quality lead to many accomplishments. These individuals will often downplay these accomplishments, typical of one whose focus lies with helping others. They rarely take credit for their good works. Their lack of self-exposure to recognition can mean that others may overlook their work. ISFJs have to make an effort to show the world what good they do. Since ISFJs like to help people, many become nurses, doctors, psychologists, social workers, teachers, nuns, priests, pastors, sales representatives, consultants, and assistants. Many also like to take on charity work and volunteer activities in their spare time. ISFJs truly enjoy spending time with the people they love. They are also kind, loving, and supportive. Married ISFJs love taking care of their spouses, and ensuring the bills are paid and that everyone is healthy and happy. These individuals believe that home is where the heart is; therefore, they strive to create the harmonious home they wish was replicated by others. ISFJs see beauty, where most people see ugliness. People with this personality type desperately want to enjoy the benefits of a long-term, stable romantic relationship; however, they tend to be painfully shy when it comes to romance, which causes them to have problems securing a significant other. ISFJs are most desirable when they are just being themselves and when they allow their generosity, understanding, dedication, and empathy to shine through. These individuals value familiarity and take dating seriously. They only enter into a committed relationship when they feel comfortable and can envision a future together. When it comes to friendships, ISFJs are kind, giving, and generous with their time, support, and praise. It is no wonder that they tend to have a lot of friends. The only drawback is that they also tend to be cautious about giving their hearts away to others. They fear being hurt or rejected. However, if others are able to enter the protective world of an ISFJ, they are able to experience a deeper connection with this person, more so than many of their other friends. ISFJ friendships generally consist of mutual support, guidance, trust, honesty, kindness, advice, and reassurance. When it comes to parenting, ISFJs make good parents. They are loving, warm, caring, and supportive. They cherish the time they have with their children and take great strides to teach them to be loving and caring toward others. They also hold the responsibility of parenting close to their hearts. They enjoy being parents, and it shows. The goal of ISFJ parents is to raise independent thinkers, who are determined. On the other hand, ISFJ parents may come across as too overbearing to their independent children. ISFJ parents would do good to allow their children to be independent, while keeping a distant eye on them.